The Outlast franchise will be arriving on the Nintendo Switch in the first quarter of 2018, according to a post on the Outlast Facebook. The post goes on to mention that there will be no DLC for Outlast 2, but a third game will happen at some point. They’re also preparing something else, which won’t be a sequel, but a “distinct experience”. 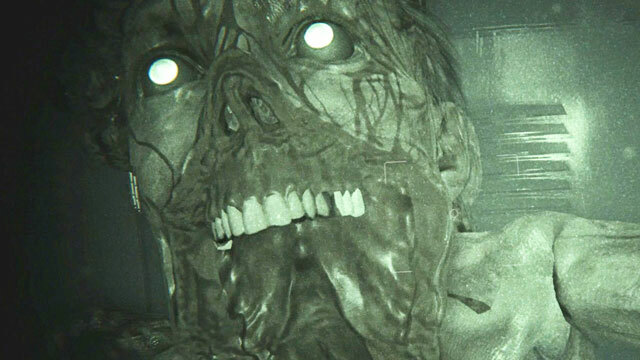 Recently, Outlast developers Red Barrels posted a status update on the Outlast Facebook page. In the post, they detail the future of Outlast as a series. Probably the biggest announcement that we got a launch window for the Nintendo Switch ports of Outlast 1 and 2. As it turns out, horror fans that own the Switch will be able to play both Outlast games in the first quarter of 2018. So, if you scare easily, at least you’ll be able to play directly on the toilet. Cut out the middle man, as it were. In other news, fans that are clamoring for some DLC for Outlast 2, prepare for disappointment. According to the post, there were never any plans for DLC in the first place, unlike the first Outlast. The whole point was “to make you feel like a rat in a maze, without any knowledge of what’s outside the maze.” So, that weird ending of Outlast 2 will have to remain unanswered for the time being. On the upside, Outlast 3 will happen at some point in the future, where we’ll finally get more answers. When that will happen, though… who knows. The post also teases that the team is working on “something a lot of you have been asking for.” Not a sequel, but a “distinct experience set in the Outlast universe.” That’s all the info the post reveals. Hopefully, more info will come out soon. My money is on some kind of tie-in VR game.